After we removed the hated wallpaper, the next thing on the agenda was getting rid of the almond colored tub with vinyl surround. It took some sawing and cutting, but we (by we, I mean my dad) got it out! Yay!!!! 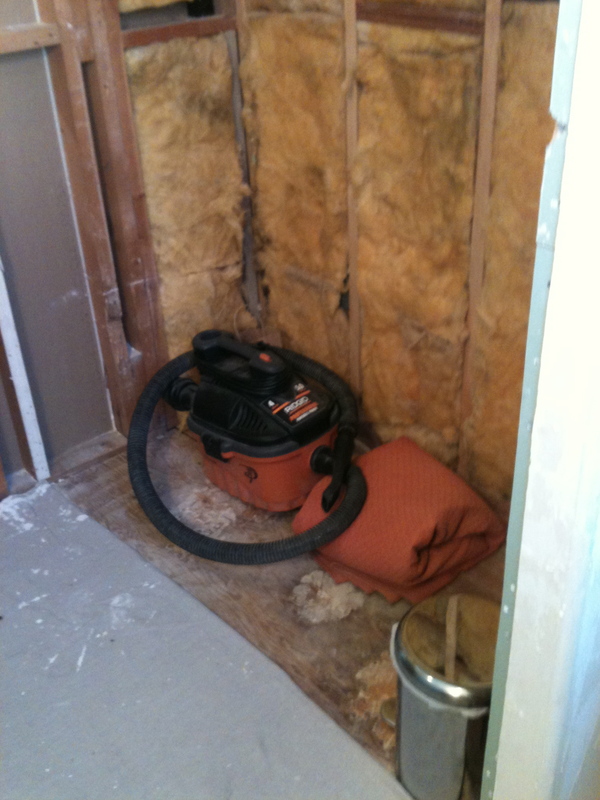 When it was time for the new tub to go in, we took out the toilet, sink and the remaining flooring and prepared for a new tub and a new floor. 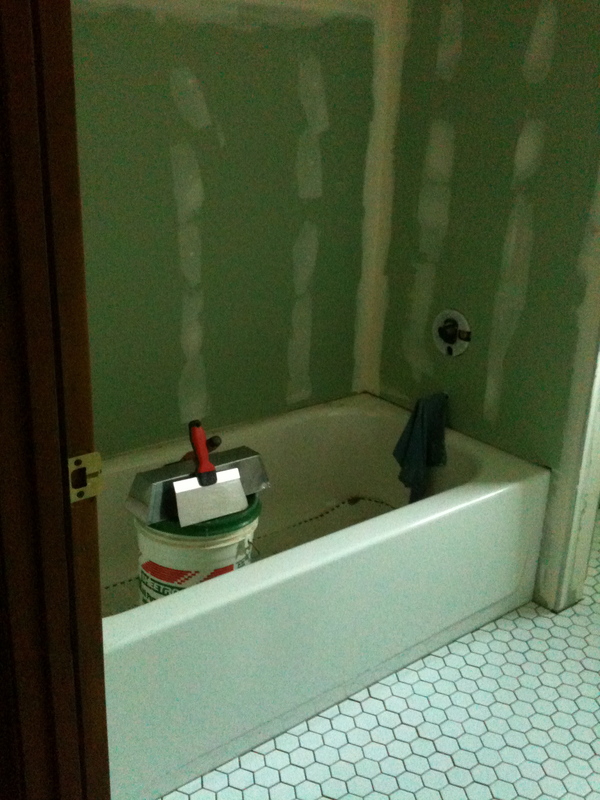 Skip ahead (work, work, work and more work) and the new tub was in place, as was the new flooring (sans grout). At this point, things really started to some together; it was getting easier, by the day, to see the finished room in my head. 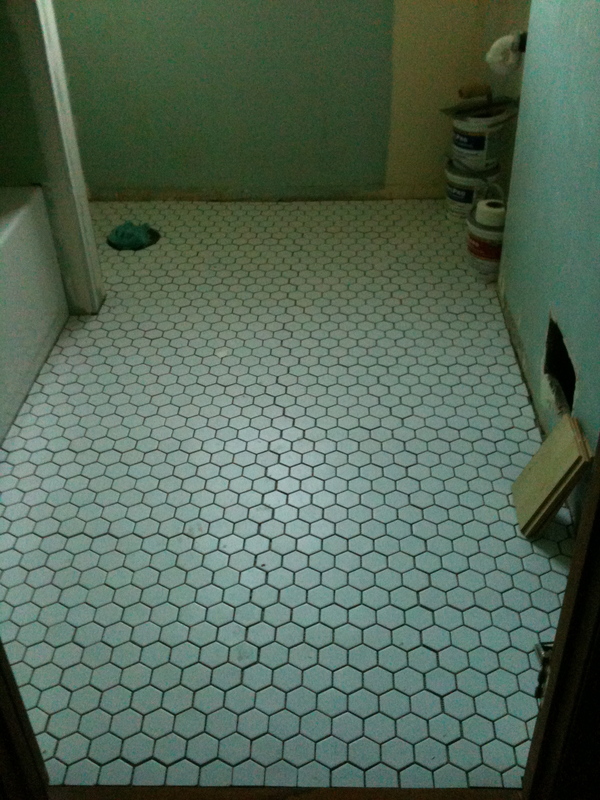 Next up, subway tile in the bath surround! Are we all excited!? Joani, I am enjoying the transformation of your bathroom. Oh, how I wish I had your dad working on MY projects!! Love what you are doing. I am extremely lucky to have dad around, Diane :). 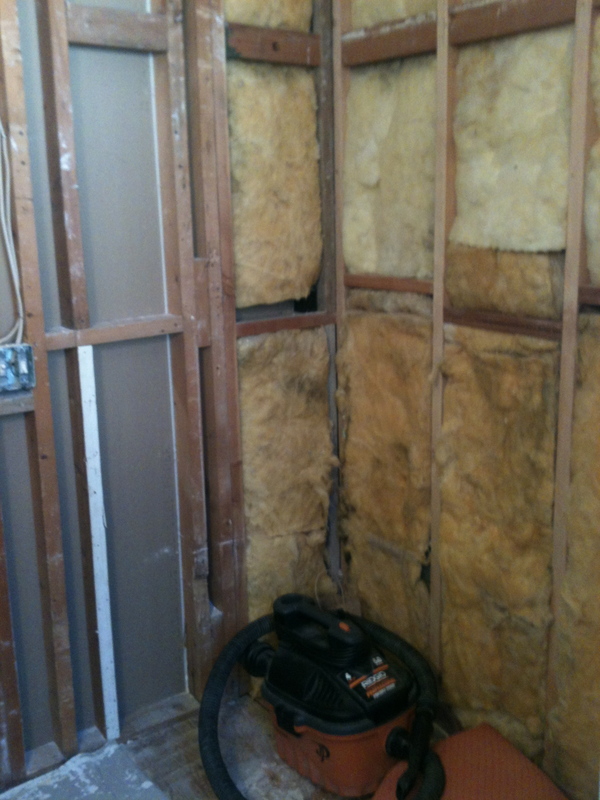 I am glad you are enjoying the remodel. We are very, very close to being done.